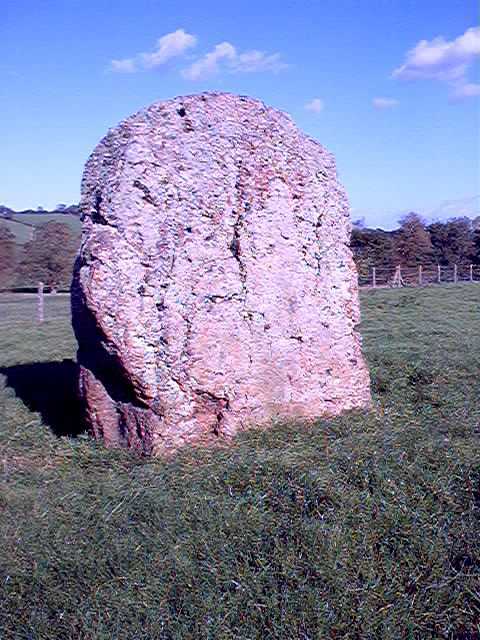 Adrian The Ageing Hippy's Photos Of Stanton Drew. 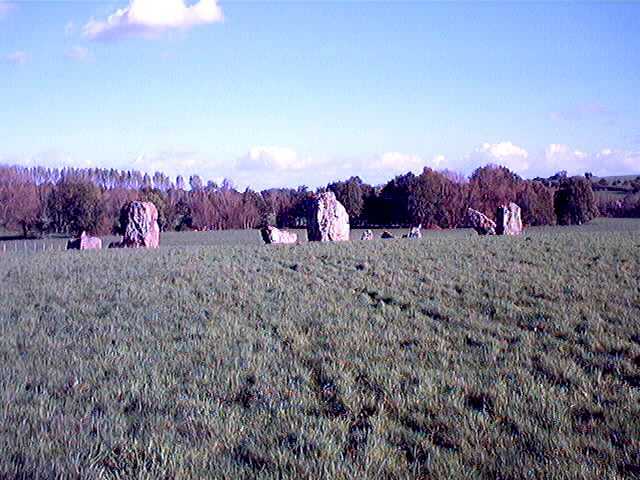 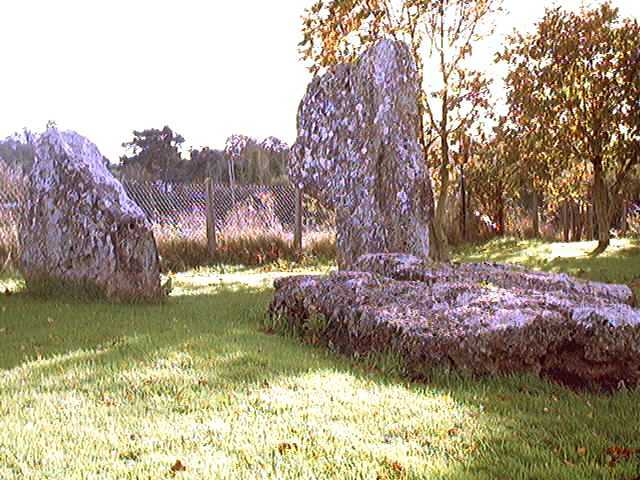 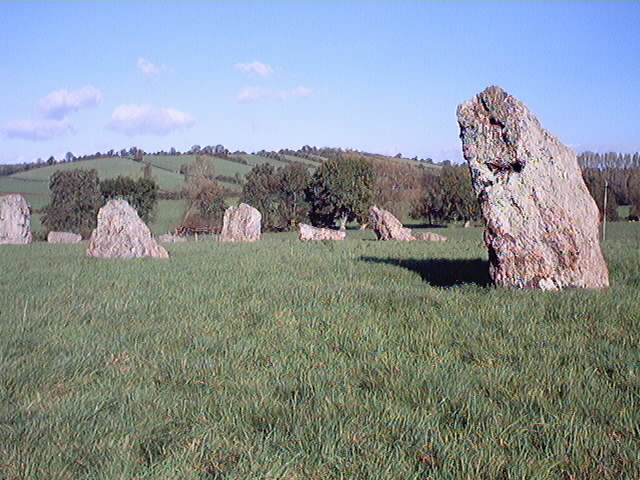 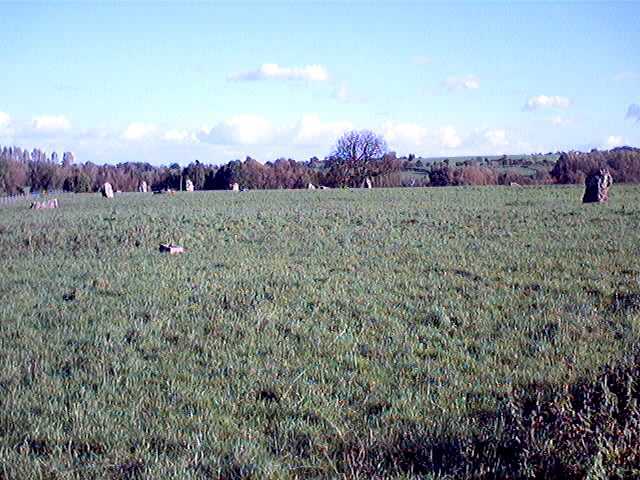 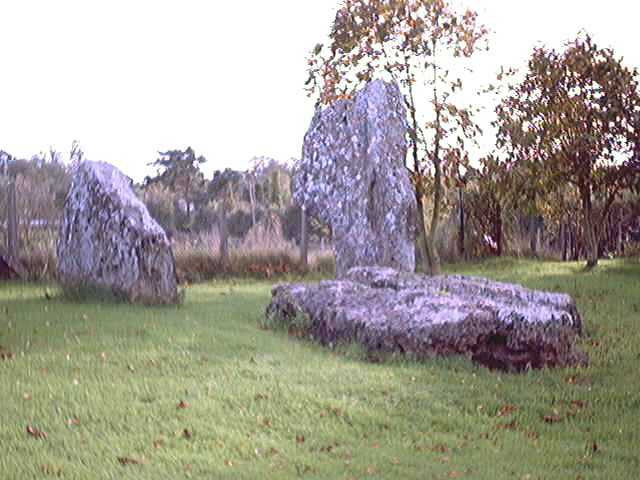 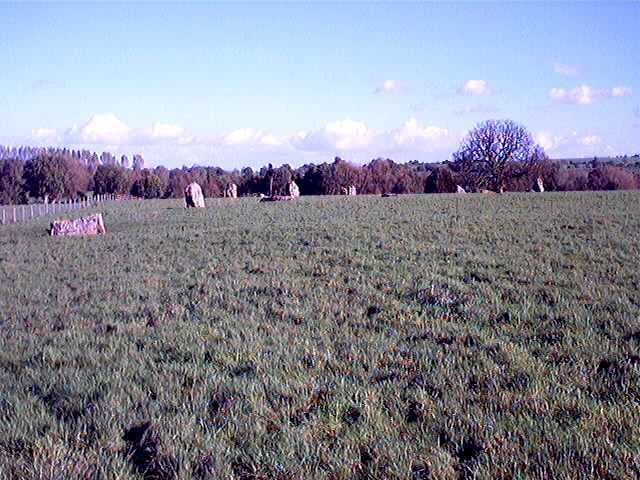 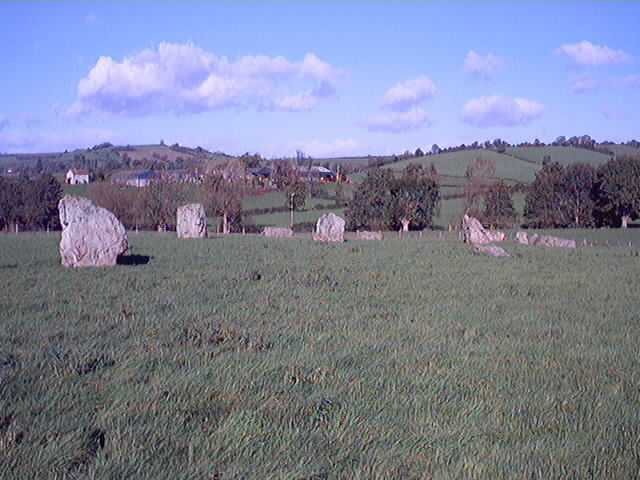 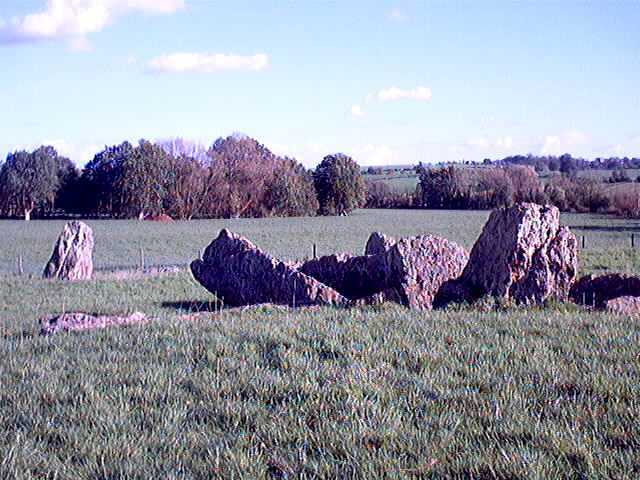 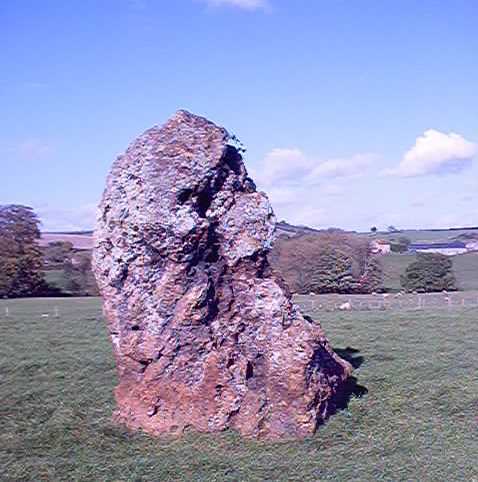 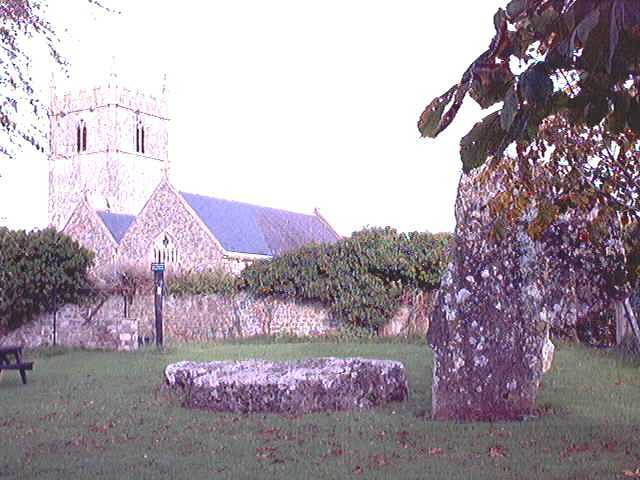 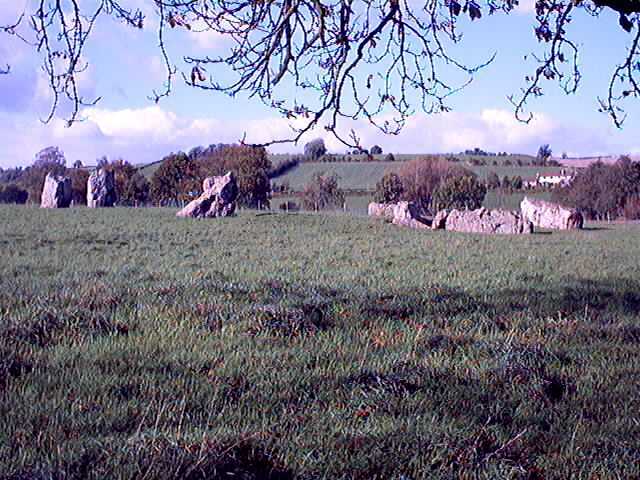 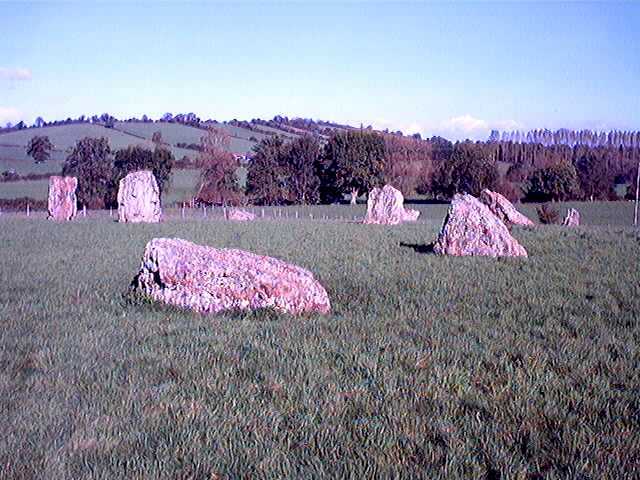 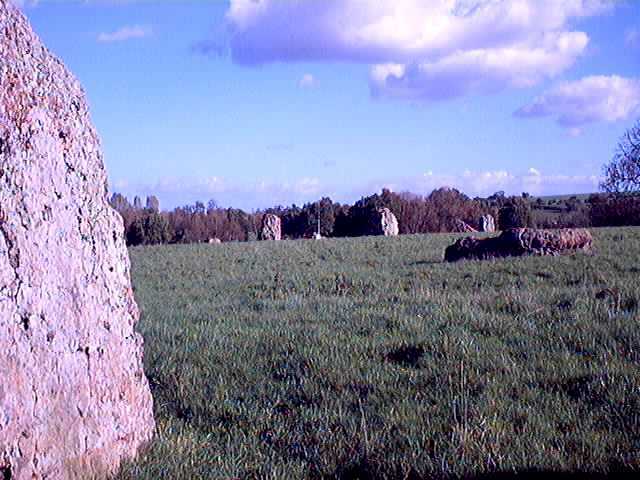 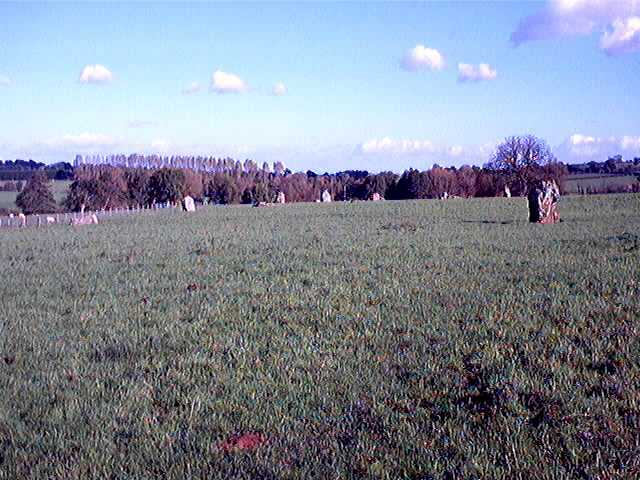 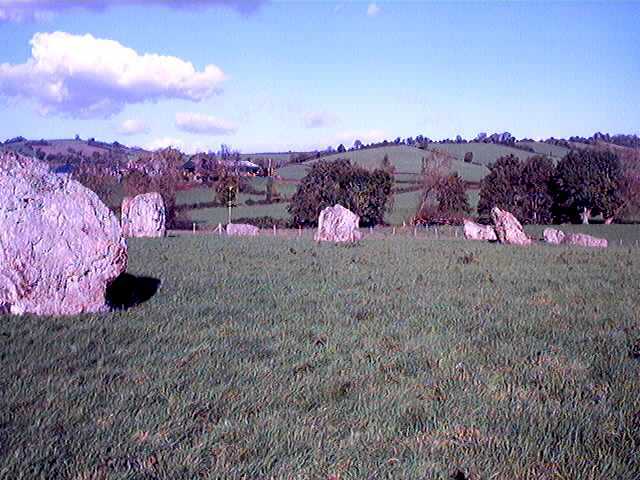 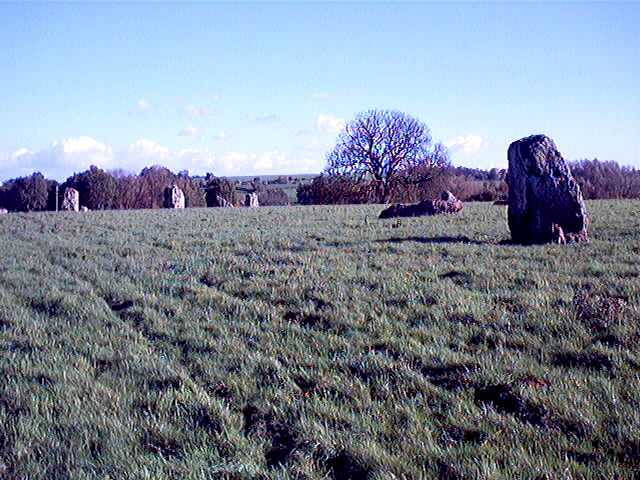 Stanton Drew is the second biggest stone circle in the UK, after Avebury. 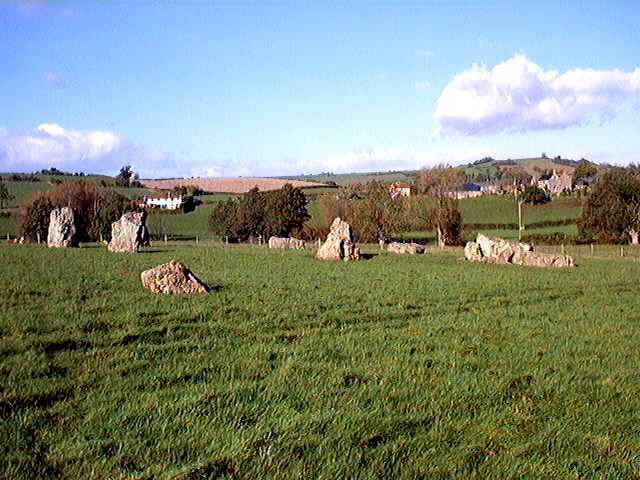 There are actually three stone circles, two associated avenues of stones, a cove (in the back garden of the Druids Arms pub... see photo below - they do really good lunches!) 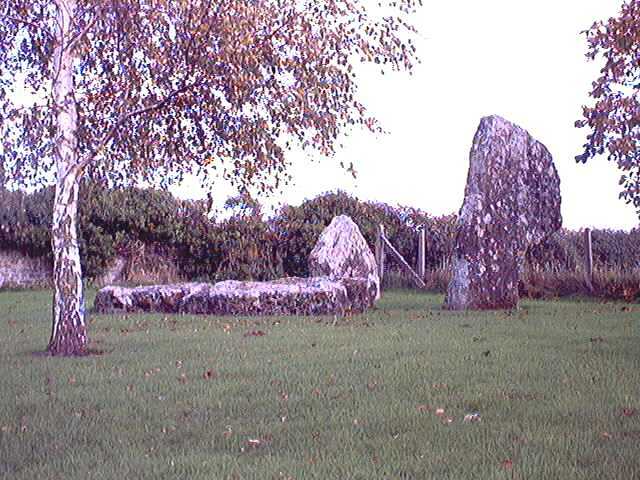 and an outlier, (Hautville's Quoit) now fallen. 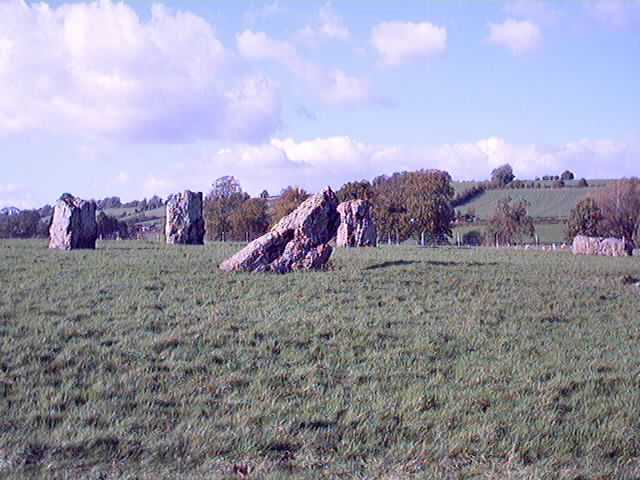 To get a better idea of the layout, have a look at the plan of the site... but when you compare that to the photos bear in mind that many of the stones shown on the plan in the Great Circle are either broken off at ground level or are only short stumps.